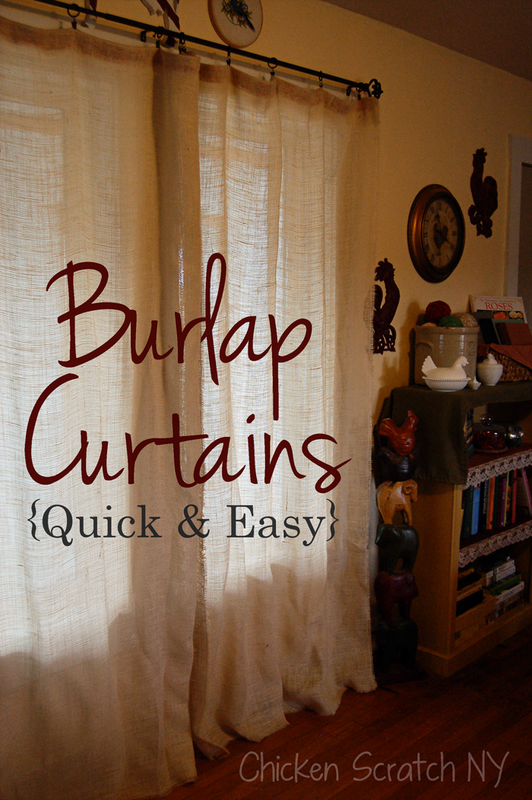 Burlap curtains might be all over the place, and maybe I’m late to the party but I’ve had these hanging in my living room for a few months and I’m finally getting around to posting a how-to! I’ve seen a lot of methods but nothing quite like mine. It’s as basic as you can get, you only sew one seam for each panel. Of course this does leave you with 1 raw edge and 2 floor to ceiling selvedges. I love it, it’s not overly polished and it fits in a casual space. They let the light in while blocking the living room from the street. The ribbon along to top adds a subtle blush of color and some strength to the burlap where it’s clipped. I’ve had these curtains up for almost 6 years and they’re still standing (hanging?). The cats and the rabbit did a decent amount of damage to the bottoms but I’ve had the couch blocking it so it doesn’t matter that much to me. If you haven’t been shopping for curtains in a while it’s worth noting you could feed a small country for the cost of 4 floor length panels. I bought my burlap at Joann’s with a coupon/sale combo and it ended up costing less than $30 for all the fabric. $30 vs $400? Sign me up! I had intended for the burlap to pool at the bottom but with a dog, a cat and a bunny rabbit hell bent on throwing everything in his path (apparently it’s a rabbit thing) that wasn’t gonna happen. My curtains end more or less at the floor. I needed a little less than 2.75 yards for each panel so I bought 11 yards. Your fabric needs will depend on your window. 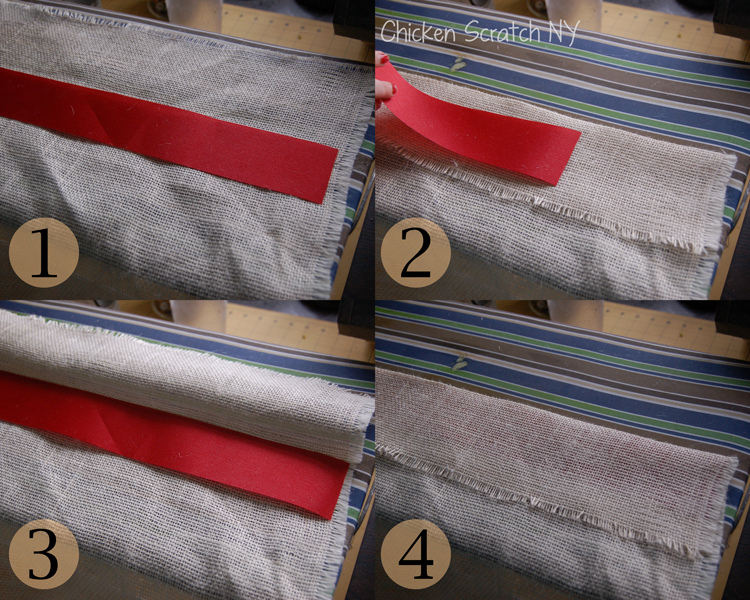 Here is the play by play: For each panel you need burlap, an iron, a length of ribbon and a means of sewing. 1. 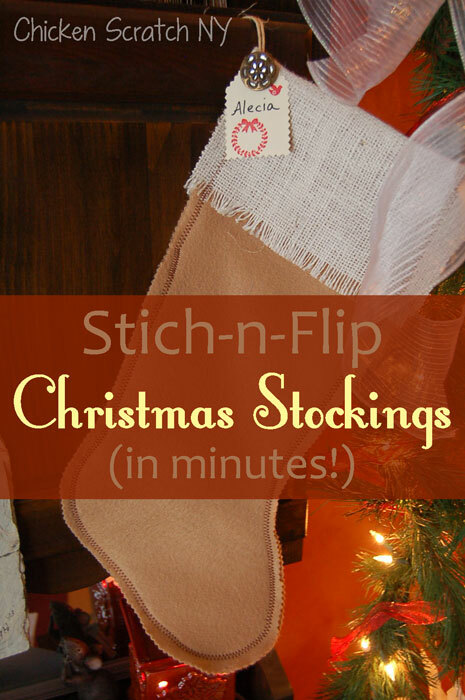 Cut the burlap to your desired length PLUS the width of your ribbon PLUS an inch or so. Confused? It’ll make sense in a minute. 2. Fold over the burlap, you want to cover the ribbon. Iron the edge of the burlap, try to keep the grain as straight as possible, the spaces between strings should be square not diamonds. 4. Fold the burlap over the ribbon and pin in place. Stitch a line through the ribbon. from Amazon are really similar. Wedge your patriotic cows above the window molding and add an old rusty horse shoe and some bird embroideries and you’re set. 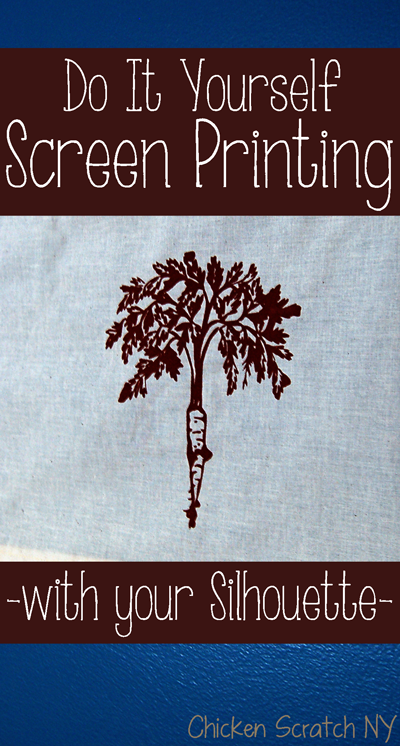 I’m hosting a linky party specifically for burlap creations that will close Tuesday night – I’d love for you to link up! I love how this looks, we don’t have a rustic looks going in our decor but we use a lot of browns and I love the texture burlap adds. Super cute!! I Love Burlap! I am pinning this for later, although I have to admit…I hate sewing. 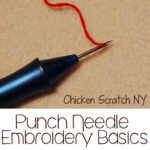 But these look easy, great tutorial. It’s so simple! The only sewing you do is one straight line and it doesn’t even show up so unless you manage to light the curtains on fire while sewing you can’t mess up 🙂 be brave! So pretty, Alecia! They turned out great and burlap is so trendy right now. The burlap is smelly what did you do about that? The only time I’ve ever had a problem with the burlap smelling is when it’s being ironed. Once it cools down it goes back to not smelling. I’ve only purchased mine from Joan’s, other sources might have a smell. These are really cute, I was just thinking about doing the same thing in my living room and you have given me some nice inspiration! Thank you! Do you think one could use stitch witch instead of sewing the ribbon? Just realized I’m now not positive about the name…. its like fabric tape you iron? I’m not sure, I’ve never used the stuff. 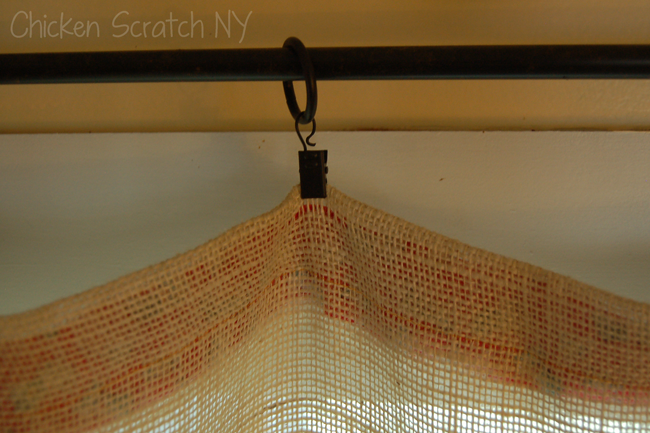 I can see 2 things that might cause problems, 1. if the stitch witchery oozed through the holes in the burlap when it got hot it might be really messy and 2. the full length curtains are fairly heavy. If there is a heavy weight version I’d try that. One Question…what type of ribbon is used? looks to be about 2 – 3 inch wide grosgrain…is that right? Thanks so much for this tutorial. Where did you find the clips? Are they called something specific? Not exactly sure where to go shopping for those. Thanks again! Can’t wait to try this project! I love these, very cute. Would you happen to know what weight Burlap you used here? Where did you get those cute little clips? Also, what if you used heavier burlap? Did you wash the burlap first? I was very interested on this website but wanted to know if there are different names for Burlap as I haven’t heard of it here in Queensland Australia. Also is it possible to order it online and does it come in lighter shades.? Love the look but suppose I’ll have to investigate whether I can buy It here. Burlap has been very popular for a few years here in the states and all the craft stores carry it. I wouldn’t even begin to know where you could but it but I do know that i’ve purchesed it in every color from white, red, green, brown, printed with spiders and natural. Good luck! 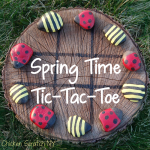 This looks great- I am def going to make these! 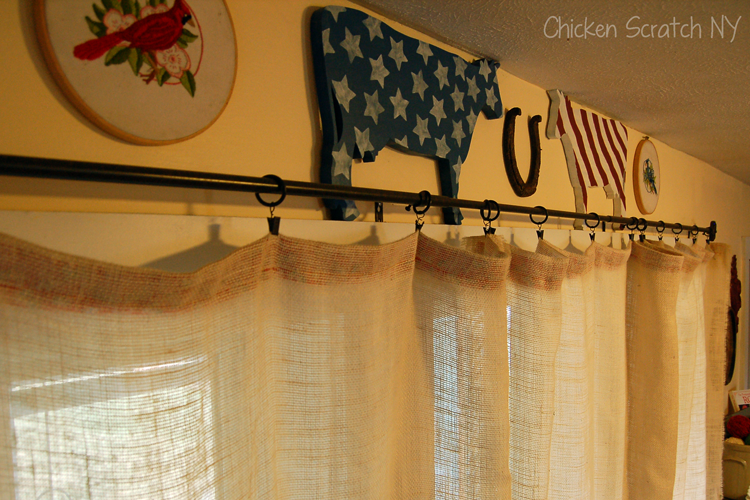 Thanks for posting- I really like the curtain rod you used- where would I find this? Thanks!! I just love this…I have fallen down a “Burlap Fever” rabbit hole! I was looking for somethng for my bedroom and for something to make short curtains for my little Shasta Camper and this would be PERFECT!!! Thanks so much for sharing.